Abaya is a special type of Dress, usually a loose over garment worn by Muslim ladies around the Muslim world. It is an islamic dress which is worn to protect and hide the body. They are usually black in color,it is a tradition to wear black abayas and mostly women do.Now a days as fashion trends changes they are now available in different colors and styles. Women as well as girls like to wear abaya, as it is our Islamic perception for Muslim ladies to cover their whole body and hide from the eyes of other people rather than blood relations.It are usually loose and long costume type dress covering the whole body excepting face,hands and feets. Hijaab is a scarf used to cover the whole head. It is mostly used by the Muslim ladies to cover their heads properly. Today, I have Selected some of the Stylish Abaya and hijaabs For Girls which are in beautiful colors and wonderful styles. 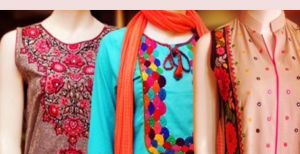 Girls interested to wear them must check these images and give their feed back as well. By wearing them,you will feel secure and satisfied.